When David Irving was sent to jail in February 2006, for statements he had made denying the Holocaust, there was a mass of debate in the press whether this was an appropriate punishment. I decided it was a good time to look into the whole issue of “Holocaust Denial”. Remembering that Irving had once sued author Deborah Lipstadt for her book Denying the Holocaust which portrayed him as a denier, I thought this would be a good place to start and certainly a place that Irving would have hated. Denying the Holocaust is a difficult book to read. Not because it is badly written or too academic, but because the material is so awful. It is very difficult imagine what drives someone to spend so much time and effort distorting and lying about the Holocaust. In many cases they are driven by their own anti-Semitism, though not always. In the immediate aftermath of WW2 there was an attempt to play down the holocaust by those who wanted to portray the US and her allies as being the real mass murderers. In time, these views have become accepted belief for neo-Nazi and Fascist organisations around the world. In addition to simply regurgitating lies and reprinting phamphlets, these groups often have attempted to inject Holocaust Denial into mainstream discussion. In the strongest sections of the book, Lipstadt shows how once Holocaust Denial reaches the level of debate, it is elevated from something with no basis in reality, to something that can be discussed as a real theory. Lipstadt domuments this particularly with the attempts by Holocaust Deniers to place adverts in US campus newspapers. Often the deniers were happy to have their adverts refused, because they had created a discourse on campus about the Holocaust that treated their views seriously. Lipstadt believes that this in part has led to a situation in the US, where many people accept that it's possible the Holocaust never happened. In passing the author also looks at those who have tried denial in other forms – claiming that Anne Frank’s diary was a fake for instance. Lipstadt’s final word is brief documentation of why there is irrefutable evidence for the gas chambers, mass premeditated murder and the Holocaust. This book is a service to all those who believe in historical truth and that history is a science that must be based on evidence, facts and documentation. It is also a weapon for those who want to stop the rise of fascism again, for those who argue that stopping the new Nazis also involves preventing them getting the oxygen of publicity. Since reading is not enough to stop the far-right. I recommend those who want to fight the BNP visit this site or this campaign to get involved. At the start of this review I’d like to offer an award. It’s very simply an award for best imagined universe. 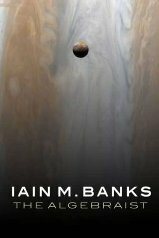 In The Algebraist, Banks’ latest vision of the future, the author has created a wonderfully complex galaxy, populated by varied aliens’, carved up by different empires and fought over by huge fleets of space ships. Banks’ aliens are the stars here – I defy anyone not to fall in love with the Dwellers – creatures that can live to be billions of years old, who’ve evolved in Gas Giants and who spend their lives trying to improve their position in society. A position that is measured by the amount of Kudos they have acquired. There’s another alien race, genetically modified to make them fascinated by the dead, who cruise the galaxy collected bodies and store them in huge ships. In amongst these are the humans. Inevitably, these humans are fighting. Of course, these battles aren’t timid small scale affairs, they’re solar system spanning, involving thousands of space ships at a time and often involve crashing asteroids into planets and things. Banks’ lets us have enough details about the ships, the weapons and the tactics to make fans of “big” Science Fiction everywhere very excited. Finally, there is the plot. All too often Science Fiction like this fails because the plot is limited, or filled with holes (or non-existent). Not so here. From the start, when we meet dozens of characters, planets and political groupings, we are immersed in a complex, ever changing story line. While the ending is a little inevitable, the story is exciting right up to the last line. I’ve always thought that Asimov’s Robotic Laws were a bit of a cop out. Perhaps it’s my computer programming background, but I always had this nagging thought that putting all the safety stuff in three short instructions was a recipe for disaster. However, the laws have gone down in SF history as a pretty firm set of codes to Robotic behaviour, even cropping up in Star Trek. 1. A robot may not harm a human being, or, through inaction, allow a human being to come to harm. 3. A robot must protect its own existence, as long as such protection does not conflict with the First or Second Law. are supposed to mean that Robots are unable to harm human beings. Though since Asimov’s work is littered with stories where flaws are discovered in this, or that application of the rules, it’s perhaps mystifying that they have got such high-regard. So it was a delight to discover Tik Tok. This robotic autobiography tells the tale of the gradual realisation of a robot, that he doesn’t have the Asimovian restrictions on behaviour. Indeed, the fact that everyone assumes all robots are safe, means he can act pretty much as he wishes. So he takes his vengeance out on humans, firstly individually, then on a greater scale, till eventually he finds himself in a position were he can plan the destruction of the entire race. He does this, because Robots are little more than slaves. Used till they drop by their masters, brutalised, vandalised, raped and broken, Robots have conscience, but are restricted from doing anything to break their chains. Given Tik Tok's life experiences, it's not surprising that his vengeance is violent and brutal. This novel is a genuine comic SF story. Comic SF often suffers on two fronts – not being funny, and not being good SF. Tik Tok is nothing short of brilliant, both in its parody of the SF genre itself and because it’s a good work in it’s own standing. 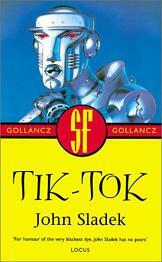 Tik Tok stands himself as one of the classic anti-hero's of all time. This is definitely a “Resolute Reader Recommended Read”, and I don’t often say that. One of the things I’ve discovered about fighting election campaigns is that fiction helps. Preferably fiction that doesn’t feature elections - I’m not sure though that this is what Barnes would want his latest work to be remembered for, but I’ll never be able to see the rather charming Victorian styled cover again, without imaging I’m off to canvass some antiquated east London tower block. Based on true events, the novel follows the lives of two unusual characters, one, the off-spring of an Indian Parsee, turned vicar in central England, the other, whose identity I will protect to avoid spoiling anyone’s read, a man who became on of the period’s most famous writers. The first character becomes embroiled in a miscarriage of justice to do with the maiming of livestock. The other finds out about the case and turns it into a cause celebre. The novel though is much more than a detective story, though. It’s also a story about justice (or lack of), class, racism and an England slowly shrugging of the past and heading towards a period of major change – heralded by the first world war. Since it was short listed for the Man Booker Prize last year, I won’t go into more detail – plenty has already been written about the work. One thing I do want to bring up is the nature of fictional writing about real people and actual events. The “Great Wyrley Outrages” and the miscarriage of justice that occurred made huge headlines at the time, and provoked public and parliamentary outcries. This fictionalised account must of course embellish that story for dramatic effect, at the same time as making the events famous again. I occasionally wonder how good a thing this is. After all, at a time when tourists wander around Rome clutching Dan Brown, doesn’t all history as fiction promote a jaundiced view of the world? But on the other hand, how many historian’s careers were started by the excitement of a Flashman novel? How many physicists began their quest for knowledge while breathlessly watching Star Trek? But too often I found myself wondering ‘is this a real bit’. ‘Is this the fiction’? This sort of questioning probably spoils the enjoyment of the novel and it certainly wouldn’t be a good thing if all anyone these days ever knew about the “Great Wyrley Outrages” was based on this book, because it is a work of fiction after all. It is however, a very good work of fiction, drawing as it does from a minor but wonderfully illuminating bit of English history.